St Mary’s, located within the northeast corner of the Iron Age hillfort defences, probably dates to the 13th century, and is set within an oval churchyard. Today, it is ruinous and consists of stone walls, mostly stone rubble, nave with south porch and north vestry, chancel and a tower. St Mary’s was restored c. 1885 by John Prichard, the Llandaff diocesan architect, who rebuilt the chancel, while the vestry was added in c. 1920. 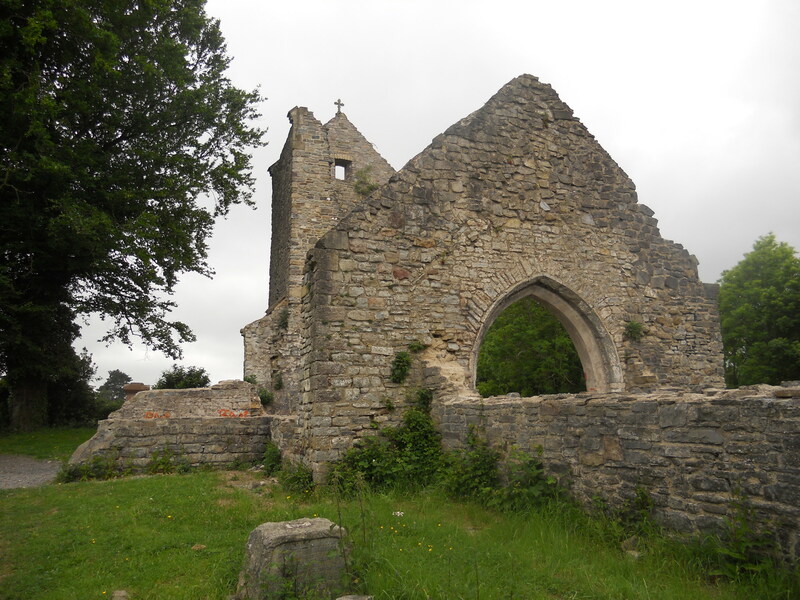 The church was closed in 1957 and allowed to fall into ruin, but was again restored in 1961 by Father Victor Jones. However, after Father Jones left the diocese, the church was again allowed to fall into disrepair. A small pressure group, The Friends of St Mary’s at Caerau, was set up in 1999 to help protect the church from further decay and destruction. Also, see the History of St. Mary’s Church and Hillfort which is in the Ely Library on the Grand Avenue.